I organize and program a few large conferences, including Web 2.0 Expo, for which we require prospective speakers to submit video of themselves speaking. Now, nobody but Donald Trump likes the way they look on camera, and video is a little bit of a pain to capture. Why do we require it? And when you come across a conference organizer that asks for it, what should you do? 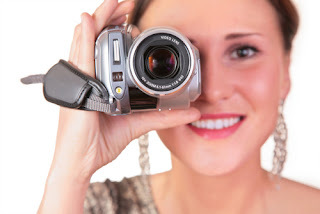 If you have an existing, strong video of yourself presenting at another conference, use it! Make sure the link is live and there isn't ten minutes of intro material before you appear (if there is, edit it down and repost). Also, if the video shows you as part of a panel, and you speak only occasionally or don't appear until minute 18, that won't help your cause. Similarly, if the video is a TV interview you did where you appear stiff or say very little, start fresh. If you have an upcoming presentation, and the conference is going to capture video, ask how quickly you can get a copy (or a link to it). If they're not filming, consider having an associate sit in front and make a video of you using a Flipcam or camera phone. No upcoming engagements? No problem. In fact, the ability to make a video is a real democratizer because it means you don't need previous speaking experience. Simply use your Flipcam or phone to make a video of yourself pitching your idea in two to three minutes (or whatever the conference requires). Practice a few times first so that you can give the pitch with a tone that's both relaxed and energetic. Depending on the conference, you probably don't need to go crazy with hair/makeup/wardrobe or appearing before an impressively well-ordered bookcase. But don't draw the wrong kind of attention with stained sweatpants and a background of dirty laundry (both of which we've seen); those sorts of careless touches, like typos in a written proposal, suggest you won't give our attendees the sort of careful consideration they deserve. Finally, see if you can deliver your pitch with a genuine, friendly smile. We want to connect with you, and your facial expressions affect us!